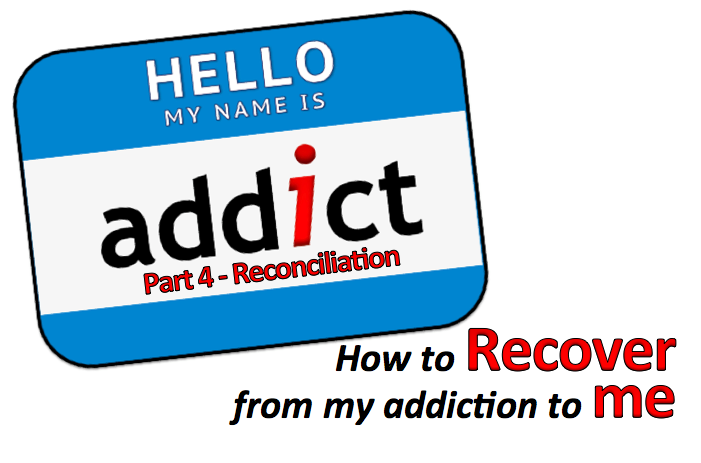 Sunday Rewind for August 6: Addict Part 4 - Growing in Christ. Who have I hurt? As hard as it is to ask this question, our recovery hinges on our willingness to not only confess our character defects but to seek reconciliation. Steps 8 & 9 put flesh on our pain and move us to go make amends. We now put action to our claimed change in behavior. Step 1 We admitted we were powerless over our addiction that our lives had become unmanageable. Step 5 Admitted to God, to ourselves and to another human being the exact nature of our wrongs. Step 8 Made a list of persons we had harmed, and became willing to make amends to them all. Step 11 Sought through prayer and meditation to improve our conscious contact with God as we understood Him, praying only for knowledge of His will for us and the power to carry that out. (1) Half-measures avail us nothing. Complete abandon lays the foundation for reconciliation. (2) There is no amends without a change in behavior. I can’t change them. I only give God full access to change me.